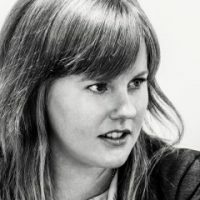 Amie Stepanovich is a lawyer specialising in cybersecurity, privacy law, and drone surveillance. She is the U.S. Policy Manager for the advocacy group Access Now, which is dedicated to an open and free internet. If new technologies are not regulated boldly, we could find ourselves in a technochauvinist dystopia.